So how did your chinese new year went? Mine was great actually this year! Had time for family and friends equally shared. On the 30th night, as usual, big dinner at grandma’s place and then i followed my uncle and cousins to watch some fireworks near turf club. Really dangerous as it’s very near to the crowd and when it explode it felt as if the sparks will burn my hair. It’s really that near! My cousin told me last year some accident happened while they burn the fireworks. Apparently, the box toppled and the fireworks started to shoot horizontally. And it hit one fella’s leg, and of course kena burn, and my cousin told me can even see the bone cos the flesh is gone o_O i’m like Ewww… but i know it’s true because that cousin was also injured a little bit. So, boys and girls, becareful when playing with fire(works) !! And then we proceed to our yearly ritual of visiting the temple-temple’s sekalian in Penang. 7 temple in total..by the time the trip finished, i was dead tired..damn it.. Lesson for today: According to tradition, we have to visit odd numbers of temple when we make our rounds else it will be bad luck! Something i learn from previous experience is to bring a google with you if you can.Haaahaa, else, you will be crying your eyes out by the 2nd temple.The smokes from the jossticks are so scary and the amount of people that throngs the temples.. Wooo…. And also as usual, beggars all over the places. Second day also bout the same, but went Queensbay instead to watch Norbit. It was good !! very recommendable lor!! So so funny!! Another good movie would be Protege. Some gruesome scene but over all good. I feel the china actress did the best job. At night spent playing cards with family at home. 3 full days with the family and then its 3rd day of chinese new year already!! Every year i anticipate this day because me and friends will go over to this other friends house for reunion. Normally we would book the whole day for this reunion. Sometimes or rather most of the time i only get to meet some friends on that day only for the whole year. The day starts at 2pm and then played card till dinner time. 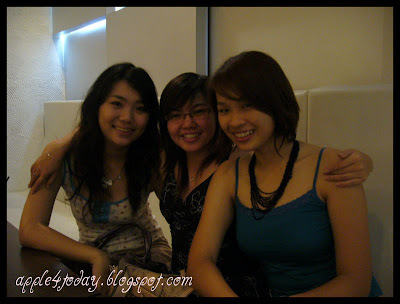 It was great because i get to meet up with my dears =) It’s been so long since i’ve seen them. So many things to catch up on but the only thing we did was play card for the whole day…. I love this photo alot!! Second day more or less about the same, except that at night was playing cards at ynnek’s hse..and where i lose alot of battle with Speng..cis..I want my revenge!!!! This entry was posted in dearies, friends, My country and tagged cny, penang. Bookmark the permalink. 5 Responses to Happy Birthday Everyone!!! oh man..i miss you guys!! hehe thats the price to pay when ppl arrive late to mamaks hehe kidding! hey.. i din no u mix wid desmond and gang… tarc 1 ma.. and frees of cos. haha. looks like u guys having lots of fun..